This Bike Pic Saturday, digging through the archives, we caught this biker chick out on the Mesabi Trail, on the Great River Energy Mesabi Trail Tour. For 2019, the ride is scheduled for Saturday, August 3rd. This entry was posted in Picture of the Day and tagged bike guide, bike mn, Bike Ride, bike tour, bike touring, biker chick, Grand Rapids, Iron Tail, Mesabi trail, Minnesota Bike Guide, Minnesota bike maps, pic of the day, the Great River Energy Mesabi Trail Tour on February 16, 2019 by Russ Lowthian. County level bicycle maps are now available in Minnesota. 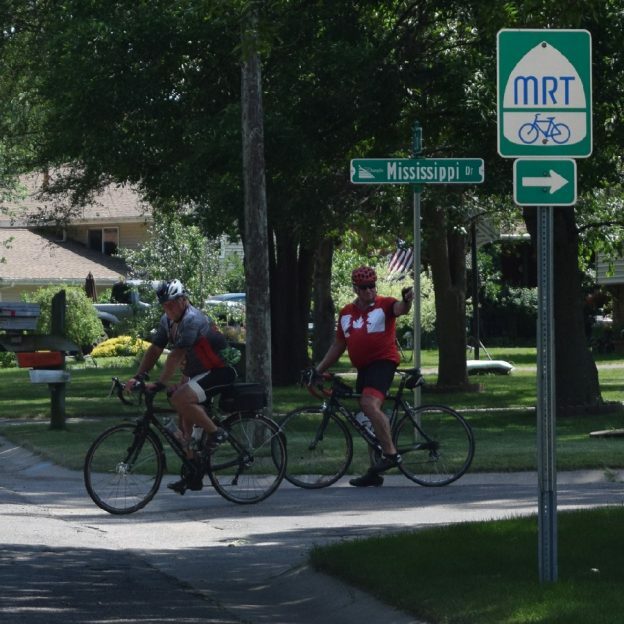 As the second most bicycle friendly state in the United States, according to the League of America Bicyclists, the Minnesota Department of Transportation (MnDOT) has recently announced the first of a series of bicycle maps. These are county by county level bicycle maps for the state. In the link below, you’ll find 125 maps with some counties split into more than one sheet. All at this one link location, click on any County Bicycle Map and see trails, road conditions, and more. Once you have selected a map, you can print out any of the maps by county (on 8.5×11 or 11×17 paper) to take along to help navigate your bike adventure. Please note, there are no printed versions of these county bike maps available, so you will need to print you own. For major metro areas in Minnesota you should also consider referencing local bicycle maps. Local bike maps may have more current local roadway data and trails. Click the following links for these Minnesota cities with bike maps: Albert Lea, Anoka County (TwinCities Gateway) Brainerd, Bemidji, Cuyuna Area, Duluth, Grand Rapids, Hastings, Hibbing/Virginia, Hutchinson, Lakeville, Little Falls, Mankato, Minneapolis Northwest, Minneapolis (Hennepin Co.) Park Rapids, Prairie Waters Area (Western MN), Rochester, Root River Trail Towns, Stillwater, St. Cloud, St. Paul, Walker, Willmar and Winona. According to MnDOT, “because this is the first effort to show data at the county scale there are some gaps and we will continue to work with the counties to improve the data and layout of these maps with future versions.” They also welcome your comments on how to improve the maps. Submit feedback or changes by emailing bicyclemap.dot@state.mn.us. 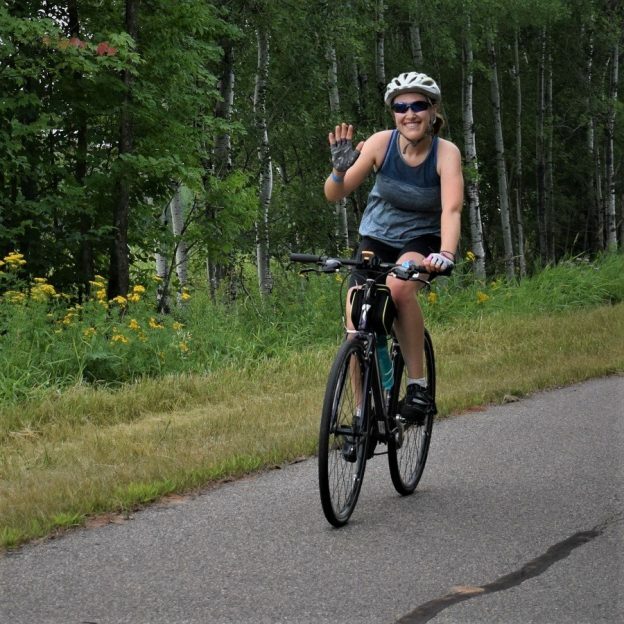 This entry was posted in News and tagged #FindYourNextAdventure, Albert Lea, Anoka County (TwinCities Gateway), Bemidji, Brainerd, Cuyuna Area, Duluth, Grand Rapids, Hastings, Hibbing/Virginia, Hutchinson, Lakeville, League of American Bicyclist, Little Falls, Mankato, Minneapolis (Hennepin Co.) Park Rapids, Minneapolis Northwest, Minnesota bike maps, MnDOT Bike Maps, Prairie Waters Area (Western MN), Rochester, Root River Trail Towns, St Cloud, St. Paul, Stillwater, Walker, Willmar, Winona on July 25, 2016 by Russ Lowthian. Summer Minnesota bike guide is live! 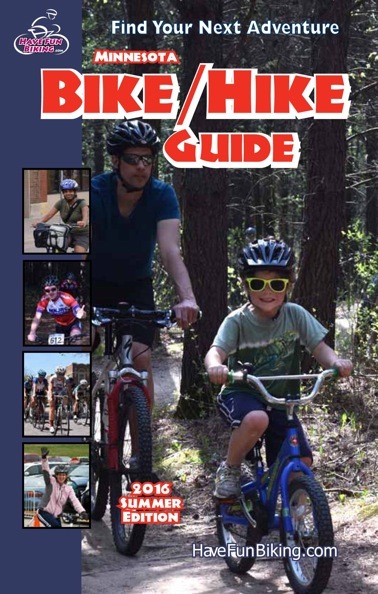 Now available quarterly, the 2016 summer edition of the Minnesota Bike/Hike guide is now digitally available and dedicated to all those fathers, nexy Sunday! Here is a shot of the e-version of the Summer Minnesota Bike/Hike Guide, now live – enjoy and have fun!. In our 7th year of printing this handy pocket sized book full of bike travel ideas, HaveFunBiking.com (HFB) has now updated the printed version into a Minnesota e-edition, so check it out. With our new digital platform we are now able to update information on bike travel and tips regularly to help you find your next adventure. Plus, we will be adding additional maps of destinations you may want to explore in the future. Please take a look at the most recent MN Bike/Hike Guide and bookmark it to your hand held devices for use when on the go. Formatted to fit your mobile phone and note pad the updated e-version offers bike events recently posted and more bike friendly maps, with links, then what is in our print edition. On each map you will find a QR code and link to the HFB Destination landing pages for easy At-A-Glance information when on the go. From Mankato, over to Stillwater or up to Bemidji, we have highlighted many special landing pages offering you At-A-Glance information when on the go. All offering helpful links while visiting communities you are planning to ride that include: where to eat, where to sleep and other pertinent information that correlates with the maps to help you make your next adventure fun. 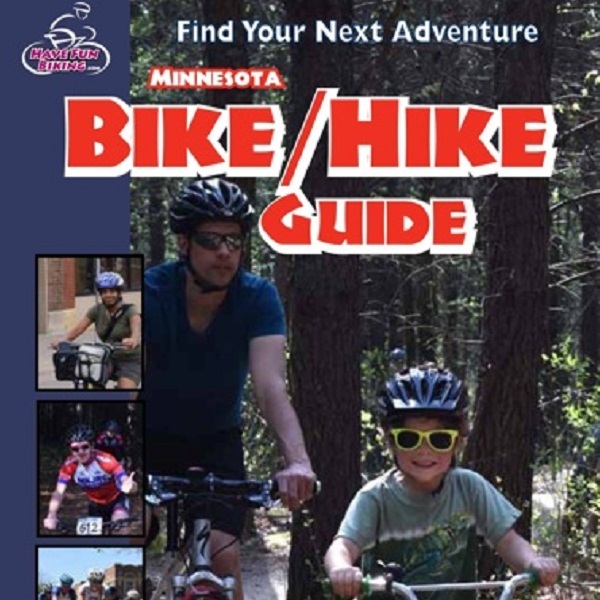 After reviewing the latest edition please share the link of the 2016 MN Bike/Hike Guide with your friends. Give them a chance to find their next bike adventure too. Maybe you will ride together or share your escapades the next time you get together. Either way, the guide opens up many opportunities for bike travel and memories that will last a lifetime! This entry was posted in News and tagged #find, Albert Lea, Bemidji, Brainerd, Chippewa Falls, Cuyuna Lakes, Faribault, Grand Rapids, Hastings, Hutchinson, Itasca trails, La Crosse, Lakeville, Leech Lake, Little Falls, Mankato, Menomonie, Mesabi trail, Minneapolis Northwest, Minnesota bike events, Minnesota Bike Guide, Minnesota bike maps, Park Rapids, Prairie Waters Area, Root River Trail Towns, St Cloud, Stillwater, Twin Cities Gateway, Walker, Willmar, Winona, Wisconsin bike events, Wisconsin bike maps on June 12, 2016 by Russ Lowthian. Bike Pic May 6, ice cream smiles Friday! 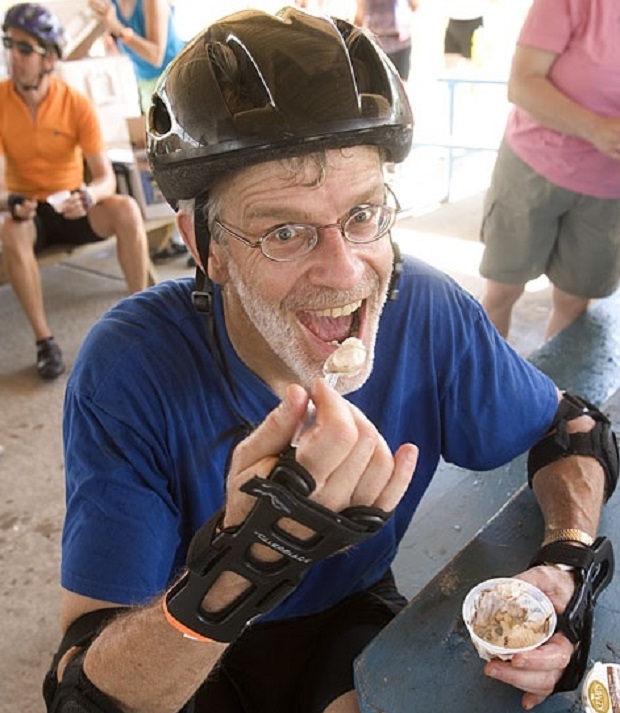 Here is a bike rider enjoying a ice cream treat after a past Great River Energy Mesabi Trail Tour, near Virginia, MN. 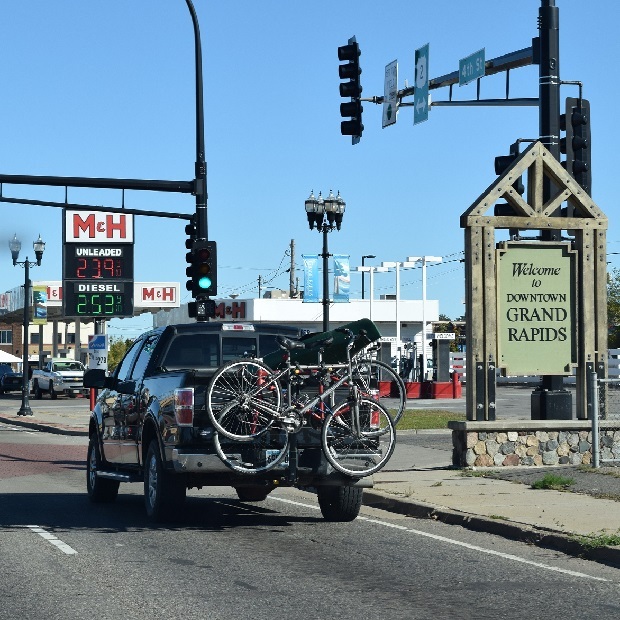 Pedal across northern Minnesota this summer on the Mesabi Trail, exploring all the trail towns and scenery along the way, between Grand Rapids and the Boundary Waters in Iron Range Country. The Mesabi Trail Tour this summer is scheduled for August 6th. Above photo – Seaquest Productions. This entry was posted in News and tagged #FindYourNextAdventure, #onlyinMN, Grand Rapids, Great River Energy Mesabi Trail Tour, ice cream smiles Friday, Iron Range, MN trails, Virginia on May 6, 2016 by Russ Lowthian. Spring bike season is in the air, but Minnesota still has a couple fat bike fun rallies up its sleeve. This weekend on Saturday, head for Grand Rapids. Then Sunday, on to Buck Hill, in the Twin Cities south suburbs for the King of the Hill Fat Bike Duel, sponsored by Buck Hill and Penn Cycle. Then the grand finale is next weekend up in Iron Range for the for the Giants Ridge Fat Bike Enduro. At-A-Glance Grand Rapids, where to stay and play throughout the year. At-A-Glance Lakeville, where to stay and play throughout the year. At-A-Glance Mesabi Trail, where to stay and play throughout the year. 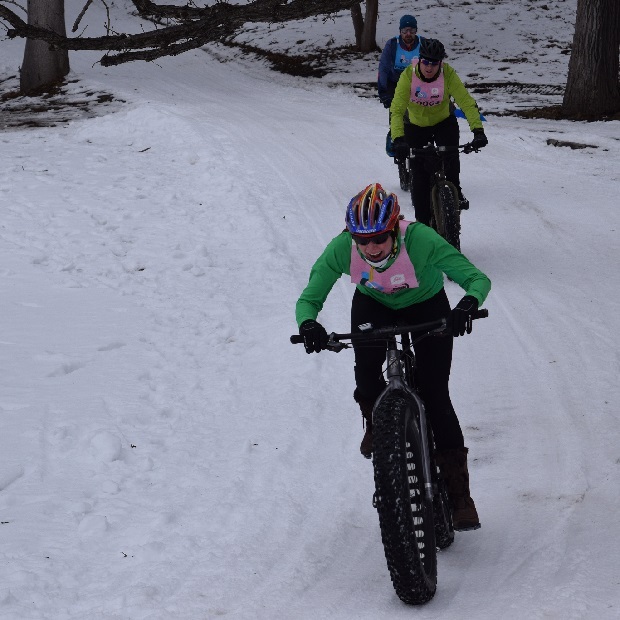 This entry was posted in News and tagged #FindYourNextAdventure, #onlyinMN, Buckhill, fat bike events, Giants Ridge, Grand Rapids, Mesabi Trail Towns, MN trails, Penn Cycle Sponsor on March 10, 2016 by Russ Lowthian. Take your bike with and make your next vacation greener. Photo shows tourists as they arrive in Grand Rapids, MN, prepared to park their vehicle and ride the forested roads and trails of northern Minnesota – saving gas and air emissions. According to EPA’s emissions and trends, the number of vehicle miles traveled by passenger cars and light-duty trucks increased 35% from 1990 to 2013. In 2013, greenhouse gas emissions from transportation accounted for about 27% of total U.S. greenhouse gas emissions, making it the second largest contributor of U.S. greenhouse gas emissions after the Electricity sector. With the continued trend in current transportation growth by 2020 those emissions rate are predicted to double. Consider using you vehicle and bike in tandem on your next vacation. See more friendly places to ride and explore in the new Minnesota Bike/Hike Guide. 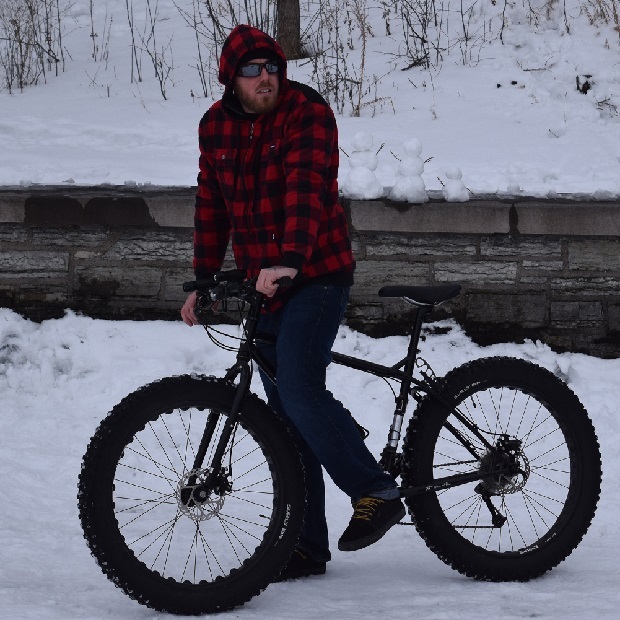 This entry was posted in News and tagged #FindYourNextAdventure, bike/car vaction, Grand Rapids, greener vacation, Multimodal transportation on March 9, 2016 by Russ Lowthian. Here a young Paul Bunyan impersonator is ready to rock the world on his fat bike, at the Rally this weekend in Bemidji, MN. At-A-Glance Bemidji, where to stay and play throughout the year. At-A-Glance Brainerd/Baxter, where to stay and play throughout the year. At-A-Glance Mankato, where to stay and play throughout the year. This entry was posted in News and tagged #FindYourNextAdventure, #onlyinMN, Bemidji, Brainerd/Baxter, fat bike events, Giants Ridge, Grand Rapids, Mankato, Mesabi Trail Towns, MN trails on March 2, 2016 by Russ Lowthian. For you road and trail riders do an ABC check and enjoy the day. Now that you have your bicycle out, this is the perfect time to take it into your favorite bike shop for a tune-up so you are ready for the next warm weather snap. 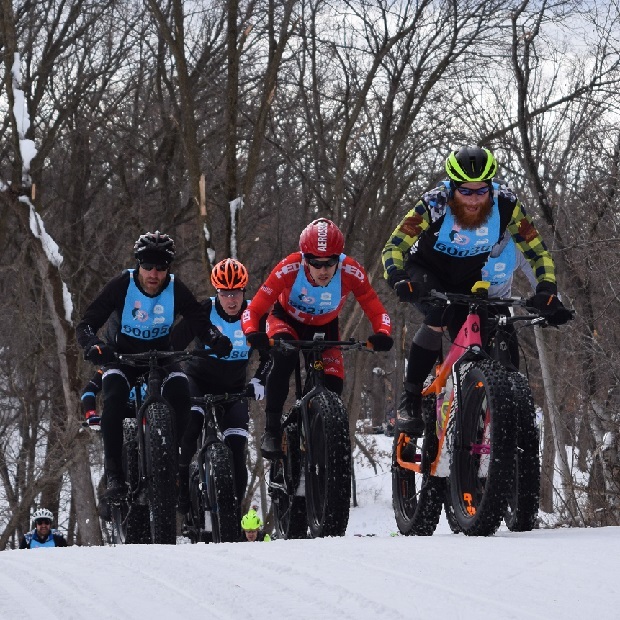 This entry was posted in News and tagged #FindYourNextAdventure, Bemidji, Bike Minneapolis, Biwabik, Brainerd, fat bike events, Fat Bike Fun, Grand Rapids, Mankato, MN trails, Penn Cycle Fat Tire Loppet on February 27, 2016 by Russ Lowthian.